Following the U.S. Securities and Exchange Commission’s increased focus on Chinese-based companies that trade on American stock markets, today (06/10/2011)’s headline at Bloomberg said that, the Public Company Accounting Oversight Board (PCAOB)—for the first time since toughening rules—blocked a Hong Kong-based auditor named Zhonglei CPA Co. to become a registered U.S. auditor, citing an inability to inspect its work for companies based in China. The PCAOB issued a new policy in October 2010 making the inability to inspect auditors in nations such as China a factor when considering whether to approve them. 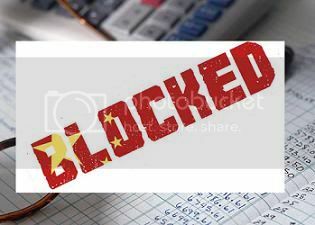 The organization is blocked from inspecting firms based in China. In a reverse merger, a closely held firm buys a publicly traded shell company to gain a stock listing, avoiding the scrutiny usually involved in an initial public offering. More than 150 Chinese firms entered U.S. markets through reverse mergers since 2007, according to the PCAOB, which oversees auditors of public companies. And, more than 24 companies have disclosed auditor resignations or accounting problems to the SEC since March. Zhonglei CPA can appeal the decision. But, Zhonglei CPA decided to stop the application process to be registered as an U.S. auditor and focus on its Hong Kong and China businesses, the company said in an e-mailed response to Bloomberg News today. (Via: Bloomberg).